If you’re seeking helpful information on the best small business practices, obtaining capital for startups and similar topics, there are lots of great blogs worth following. The small business online resource you need is never more than a few clicks away. The best blogs to consult really depend on your needs, but here are a few small business blogs that can give you valuable tips and resources. When you have your own business or you have plans to start one, you need access to all kinds of information. Small business owners, in particular, must wear many hats and acquire a wide range of skills, from raising funds to copywriting to understanding legal issues. If you’re a solo entrepreneur or a business owner with only a few employees, you can’t afford to hire a specialist for each task. That’s why the most successful small business owners often end up possessing a wide range of skills. They didn’t always start out that way, though. A good place to start for these type of small business resources is Forbes 100 Best Websites For Entrepreneurs. These sites are worth researching if you want to learn all of the ins and outs of building a business from the ground up. Another useful list of small business resources is Best Small Business Blogs For 2017. These blogs include some topics for specialized areas such as startups, retail businesses and franchises. There’s also a good one on copywriting, which is extremely important for promoting your business. Noobpreneur is great for anyone who’s just starting out on the entrepreneur journey. Small Business Administration – The SBA is one of the best places to go for information on financing your business, abiding by the laws and regulations, finding a counselor to advise you, deciding the best type of business to start and much more. 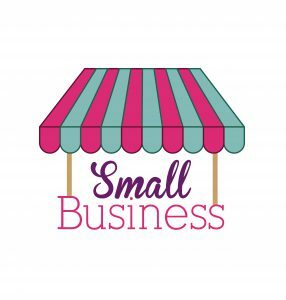 Small Businesses – This is another great site with all kinds of information for small businesses. Topics covered include business management, finding capital, small business loans, finding the best healthcare plans for employees, buying an existing business and obtaining the appropriate licenses and business permits. America’s SBDC – This is the website for the national network of Small Business Development Centers. These centers, run through a cooperative effort of the SBA, state economic development agencies, colleges and universities, provide free and low-cost training for business owners. One of the benefits of the SBDC is that, in addition to online resources, you can find out about free face-to-face training in many areas. Last but not least, remember Riviera Finance for your working capital needs. We’re here to help you with cash flow, credit services, and accounts receivable management. We can customize a factoring option to meet your unique requirements – contact us today to get started.